← Reminder: March meeting is the 24th! OGDA member studio, XII Games, had their upcoming game Resonance shown on Gamespot’s On the Spot. There was a great interview and lots of in-game footage shown. Check it out! 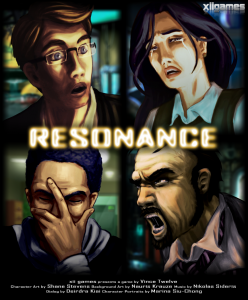 Vince is in the closing months of development of Resonance so expect all sorts of nifty information from him shortly! This entry was posted in Announcements, Company News and tagged demo, interview, Resonance, XII Games. Bookmark the permalink.